The experiment confirmed that usage of minified code is extremely popular on the web as it exists and amongst others, UglifyJS is very commonly used in today’s web. So in Windows 10 and Microsoft Edge, we’ve added new fast paths, improved inlining and optimized some heuristics in Chakra’s JIT compiler to ensure that minified code runs as fast, if not faster than the non-minified versions. With these changes, the performance of individual code patterns minified using UglifyJS that we tested, improved between 20-50%. To prove that this is actually working Microsoft has tested 64bit versions of Edge , Google Chrome Firefox running on a Windows 10 machine using Google's Octane 2.0 and Apple's Jet Stream to benchmark and here are the results. Looking at the tests results you can easily say Edge will be a major improvement from IE 11. 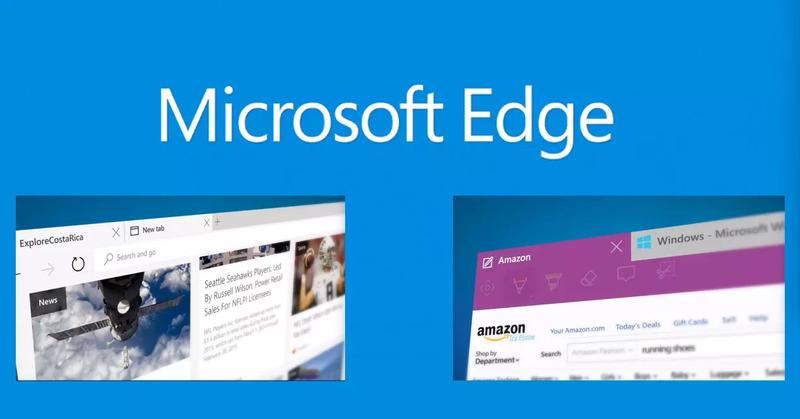 Microsoft have a dark image when it comes to IE, May be edge will help clear it out in the future. Its better in both performance wise and design than IE. Chrome is known to be power hungry, because edge will be integrated into the OS it will be less power hungry than chrome. May be it will prove as an added advantage to Edge.